Tia is a Legal Assistant in our Residential Conveyancing department at our Shepton Mallet office, supporting Paul Lyons, having joined the firm as an apprentice in 2017 as the receptionist. Tia provides administrative assistance to the fee earners and help to our clients be it over the telephone or face to face. 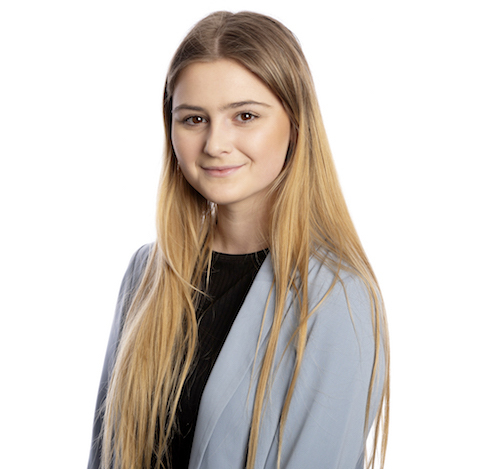 Tia moved to Somerset in September 2018 from Wiltshire where she studied her A Levels at St Johns Sixth form in Marlborough. Currently doing a Level 3 Legal Administration Apprenticeship. In Sixth Form Tia studied Psychology, English Language and BTEC Art and Design. She also completed an Extended Project Qualification, for this Tia wrote a dissertation on the psychological impacts of imprisonment.